This document describes how to build Apache Tika from sources and how to start using Tika in an application. To build Tika from sources you first need to either download a source release or checkout the latest sources from version control. Once you have the sources, you can build them using the Maven 2 build system. Executing the following command in the base directory will build the sources and install the resulting artifacts in your local Maven repository. See the Maven documentation for more information about the available build options. 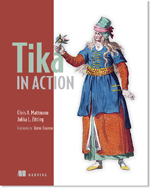 Note that you need Java 7 or higher to build Tika. Tika JAX-RS REST application. This is a Jetty web server running Tika REST services as described in this page. Note that adding this dependency will introduce a number of transitive dependencies to your project, including one on tika-core. You need to make sure that these dependencies won't conflict with your existing project dependencies. You can use the following command in the tika-parsers directory to get a full listing of all the dependencies. The Tika application jar (tika-app-*.jar) can be used as a command line utility for extracting text content and metadata from all sorts of files. This runnable jar contains all the dependencies it needs, so you don't need to worry about classpath settings to run it. The usage instructions are shown below. or metadata to standard output. of a document to be parsed. data is available, the GUI is started instead. text content and metadata from the files. ports you specify as one or more arguments. You can also use the jar as a component in a Unix pipeline or as an external tool in many scripting languages. Several wrappers are available to use Tika in another programming language, such as Julia or Python.